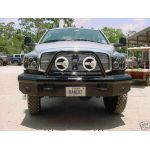 The Frontier Gear Xtreme Front Bumper comes with a black powder coat finish. It does come with install hardware. It also comes with a 1 year MFG warranty. It will work with the factory fog lights & tow hooks. We try to provide pictures of the exact part that we sale, but in some cases they are not available & what you see is very similar to the part described. In some applications the bumper installs to factory bumper bracketry. 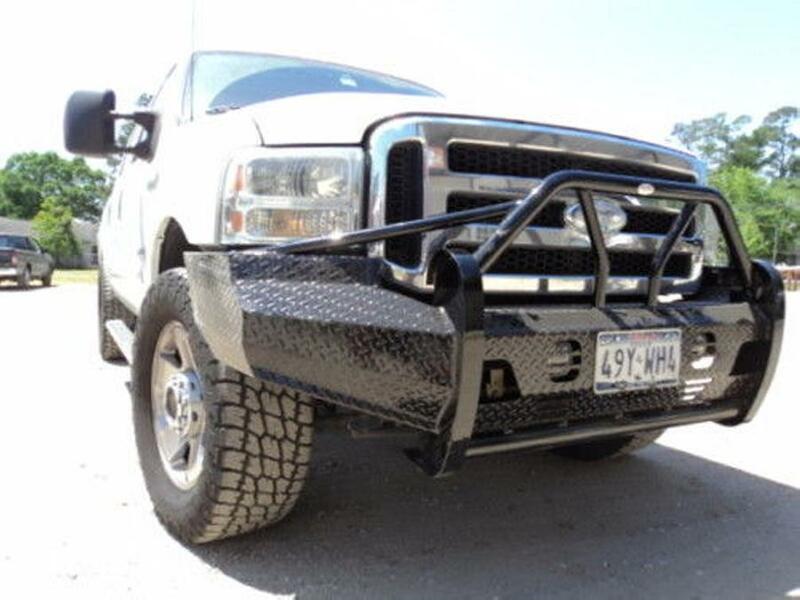 If yours has been damaged you may have to replace it to install this bumper.